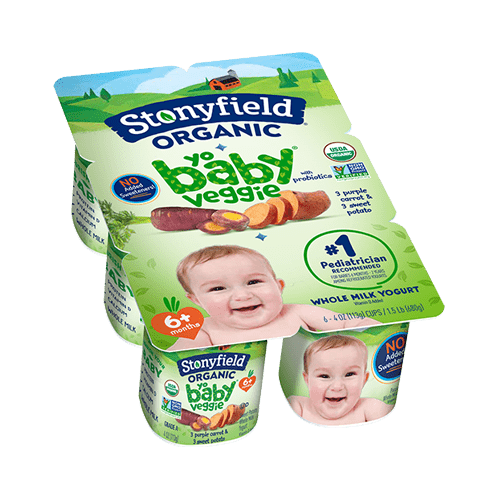 Only Stonyfield YoBaby organic yogurts are made especially for babies – and they’re #1 Pediatrician Recommended*! 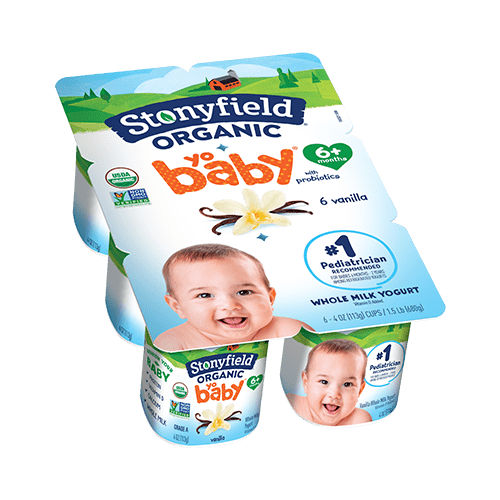 Made with only organic whole milk and the kind of ingredients you would use yourself, YoBaby is always made without the use of artificial hormones, toxic persistent pesticides and GMOs. "Probiotics can be an important element to help support digestive health, and one that can easily be delivered in a delicious serving of yogurt. 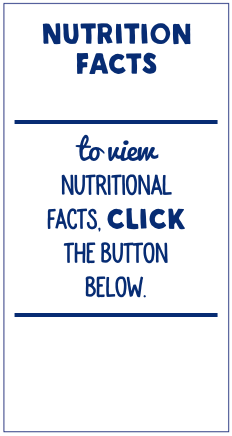 Most parents don’t know babies can begin reaping the benefits of yogurt as young as six months. 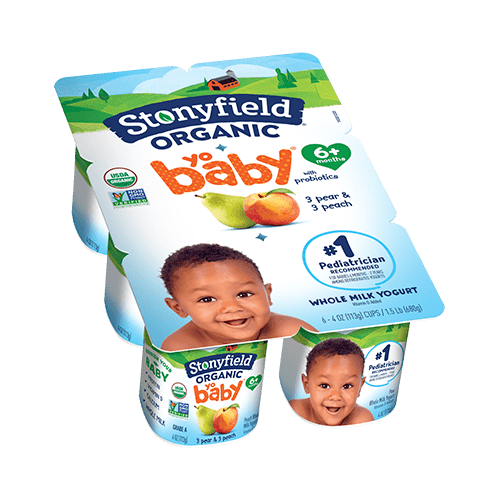 I recommend feeding Stonyfield YoBaby® yogurt daily at this age. 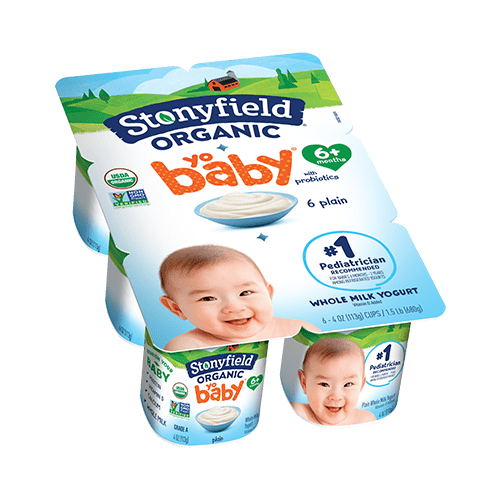 It’s a great first food, made with organic whole milk, it delivers Vitamin D and calcium for bone growth, and has added probiotic BB-12® to help support digestive health when consumed regularly as part of a balanced diet and healthy lifestyle." - Dr. Tanya Altmann, Pediatrician & Best Selling Author of What To Feed Your Baby. To learn more about Dr. Tanya Altmann click here. BB-12® is a registered trademark of Chr. Hansen. Wild blueberries, organic apples and whole milk yogurt make these YoBaby flavors extra yummy. 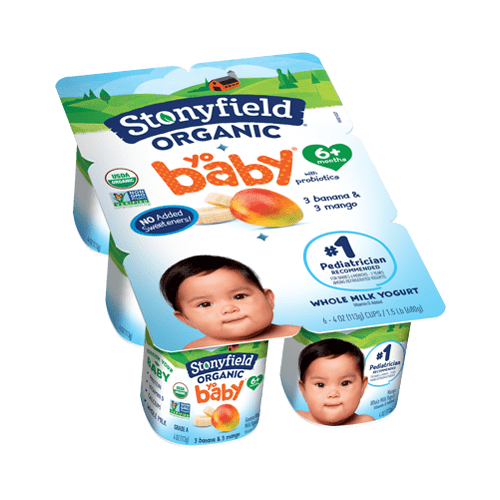 Cultured Pasteurized Organic Whole Milk, Organic Cane Sugar, Organic Blueberry Juice Concentrate, Pectin, Organic Carrot Juice Concentrate (For Color), Natural Flavor, Vitamin D3. Cultured Pasteurized Organic Whole Milk, Organic Cane Sugar, Organic Apple Puree, Pectin, Organic Ground Cinnamon, Natural Flavor, Vitamin D3. 6 Live Active Cultures: S. thermophilus, L. bulgaricus, Bifidobacterium animalis lactis BB-12®, L. acidophilus, L. paracasei and L. rhamnosus.